February 7, 2015 Toronto Maple Leafs vs Buffalo Sabres. 5-1 win. November 4, 2015 Toronto Maple Leafs vs Winnipeg Jets. 2-4 loss. November 6, 2015 Toronto Maple Leafs vs Detroit Red Wings. 1-2 loss. November 7, 2015 Toronto Maple Leafs vs Washington Capitals. 2-3 loss. November 10, 2015 Toronto Maple Leafs vs Dallas Stars. 3-2 win. December 5, 2015 Toronto Maple Leafs vs St. Louis Blues. 4-1 win. December 8, 2015 Toronto Maple Leafs vs New Jersey Devils. 3-2 win. December 19, 2015 Toronto Maple Leafs vs Los Angeles Kings. 5-0 win. December 21, 2015 Toronto Maple Leafs vs Colorado Avalanche. 7-4 win. December 22, 2015 Toronto Maple Leafs vs Arizona Coyotes. 2-3 loss. December 30, 2015 Toronto Maple Leafs vs Pittsburgh Penguins. 3-2 win. January 2, 2016 Toronto Maple Leafs vs St. Louis Blues. 4-1 win. Antoine Bibeau gained the attention of scouts while he was playing QMJHL hockey in Prince Edward Island. The Toronto Maple Leafs drafted him in the sixth round of the 2013 NHL draft. Bibeau ended his junior career with the Val-d'Or Foreurs in a stunning fashion. He lead the team to a QMJHL championship and was awarded the Guy Lafleur Trophy as playoff MVP. The Foreur did not win the Memorial Cup but Bibeau was named the tournament's Most Outstanding Goaltender and Memorial Cup All-Star. July, 2014 the Toronto Maple Leafs signed Bibeau to a three-year, entry-level contract. 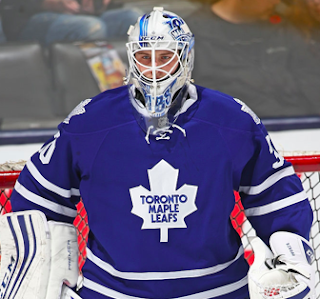 Bibeau was recalled by the Leafs for the first time February, 2015 when Jonathan Bernier came down with a sudden illness. Bernier missed one game and Bibeau dressed as a backup to James Reimer. 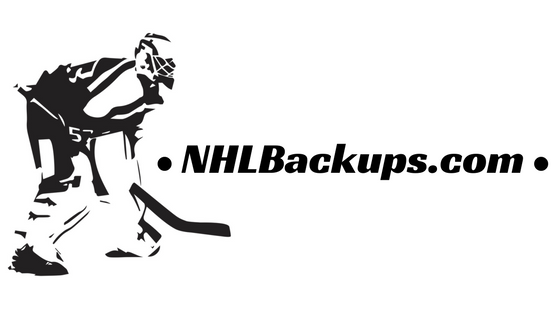 Early November, 2015 Jonathan Bernier was forced to sit out with a lower-body injury. For four games Bibeau dressed as James Reimer's backup. Less than a month later Bibeau was back with the Maple Leafs. With both Bernier and Reimer sidelined, Bibeau dressed as backup goalie to Garret Sparks, whom he had started the season in the AHL with, for another two NHL games. Bibeau was recalled for the third time of the season in December when Garret Sparks was injured. This time Bibeau dressed as backup to Jonathan Bernier. Bibeau was in the AHL for less than a week before he got his fourth NHL recall of the season. Late December, James Reimer was forced out of the lineup with a minor injury. Bibeau dressed as backup to Bernier for another two NHL games.